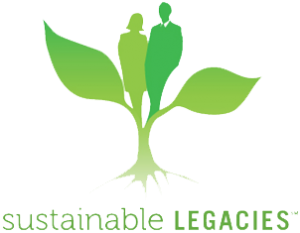 Sustainable Legacies Award Submissions - Innolect, Inc. | Innolect, Inc. Welcome to Innolect’s Sustainable Legacies Submission Page. We’re delighted that you’d like to be considered for this annual honor. In addition to corporate responsibility bragging rights, Innolect will make a cash donation (in your company’s name) to the nonprofit of your choice. The individual or company will also be featured in an upcoming Innolect “post.” To compete for the Annual Award, please provide us with the information identified below. Any photos you provide of “efforts in progress” could also be included in future posts and media coverage. - Types of nonprofit initiatives employees supported. - Number of employees who volunteered at nonprofits in 2016 / percentage of total employee population. - Types of initiatives teams supported during a team building event, e.g., built a Habitat home, painted a school, built a playground, provided disaster relief, etc. - Number of teams who supported community nonprofits. - Description of corporate responsibility initiatives for 2016. - What results were achieved? - Descriptions of intentional professional development partnerships with nonprofit leaders who supported the development of ERGs, high potentials, etc. - What capabilities were developed? - Other relevant initiatives that expanded your organization's community reputation and legacy. - Remember to attach any relevant photos (with captions) that we might feature in posts, on our website, or in Award announcements.